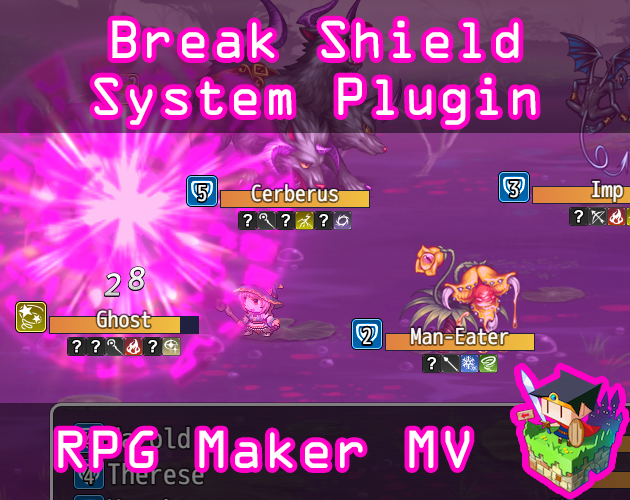 This is a RPG Maker MV plugin that will create a new mechanic called a Break Shield. Actors and/or enemies can have them. 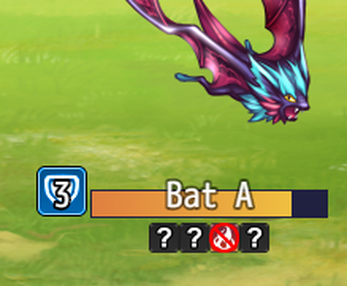 Whenever a battler is struck with an elemental weakness, their Break Shield is reduced by 1 (unless modified by a notetag). 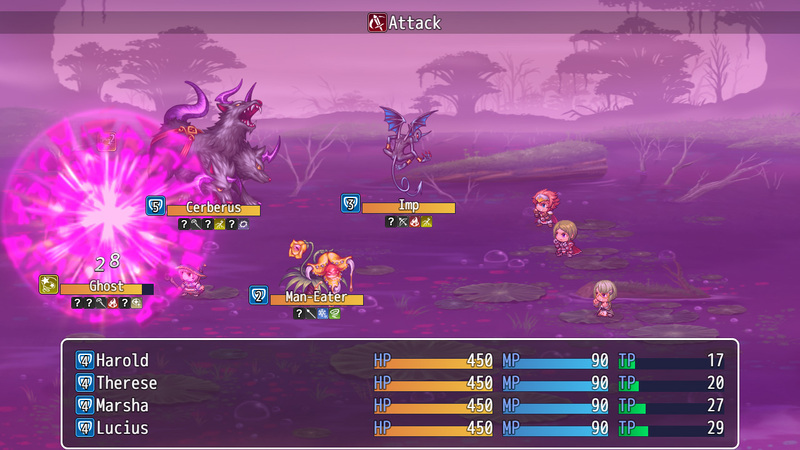 Once the battler's Break Shield reaches a score of 0, a state is then applied to the battler (usually a stun state). Once the Break state wears off, the battler will regain their Break Shields again. This can be used to create complex battle depth for your game. 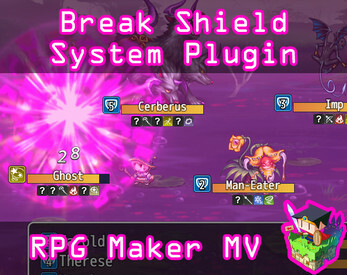 There are some important plugin parameters to modify if you want to customize the Break Shield system to your liking. 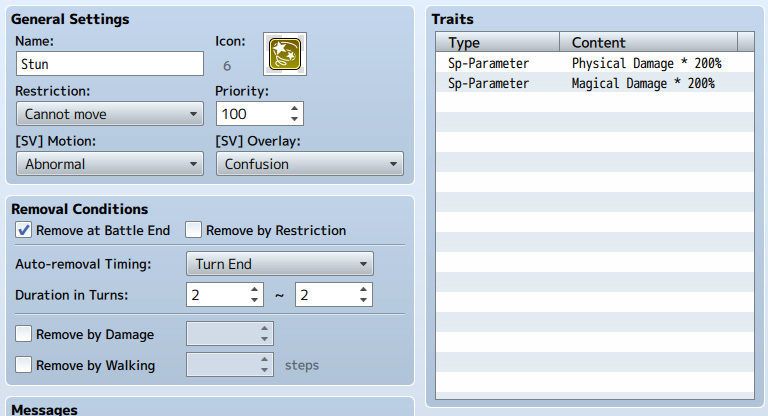 Actor Shields: Enable or disable the Break Shield system for actors. If enabled, actors when hit by elemental weaknesses will also lose shields and can be stunned, too. Draw Menu Shields: If enabled, will draw Break Shield in the menu where states are drawn. Enemy Shields: Enable or disable the Break Shield system for enemies. You can disable this if you want only your actors to suffer from the Break Shield system. 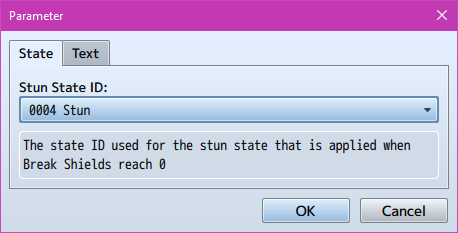 Stun State ID: The state ID used for the stun state that is applied when Break Shields reach 0. THIS IS AN IMPORTANT PLUGIN PARAMETER TO ADJUST if you want to customize this system for your game! Change this to the ID of the state you want to count as the Break state. 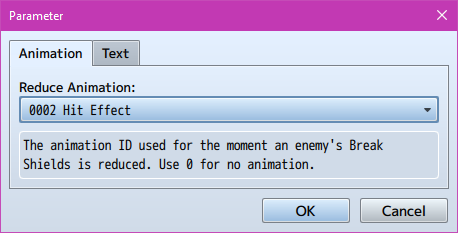 Reduce Animation: The animation ID used for the moment an enemy's Break Shields is reduced. Use 0 for no animation. Break Animation: The animation ID used for the moment an enemy's Break Shields reach 0. Use 0 for no animation. 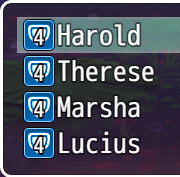 Icon Font Size: The font size of the text used to display the shields left or duration of the turn. Show Actor Shields: Show the actor shields next to their name in the status window? Show Enemy Shields: Show the enemy shields next to their name in the target window? Reduces the target's Break Shield by x if this action hits a weakness. If you do not use this notetag, x will be the default value found in the plugin's parameters. This will change the target battler's Break Shield value to x if the battler isn't currently stunned. No effect if you don't use this notetag. This will either increase the target battler's break shield by x or decrease the target battler's break shield by x. Happens after the Change Break Shield notetag. No effect if you don't use this notetag. x is the base number of Break Shields the battler starts with. If you do not use this notetag, x will be the default value found in the plugin's parameters. 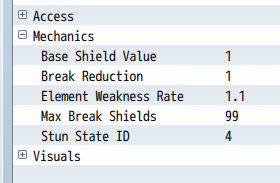 x is the increased/decreased amount of Break Shields applied to how much the battler will start with. If you do not use this notetag, then no extra Break Shields will be added.